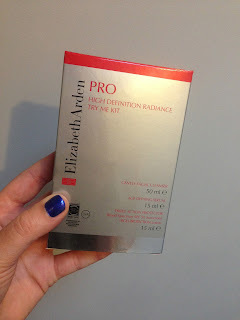 I have been trialling the Elizabeth Arden PRO High Definition Radiance Try Me Kit for a few weeks now and I thought I'd let you know how I got on. Elizabeth Arden collaborated with Joe Lewis for Elizabeth Arden PRO. Joe Lewis is a chemist & cosmeceutical skincare researcher and is the founder of PRIORI Skincare. My sister swears by PRIORI and I had always meant to try them but just hadn't got around to it. If you haven't heard of Joe Lewis, or PRIORI, then take my word for it that he's a big name in skincare. 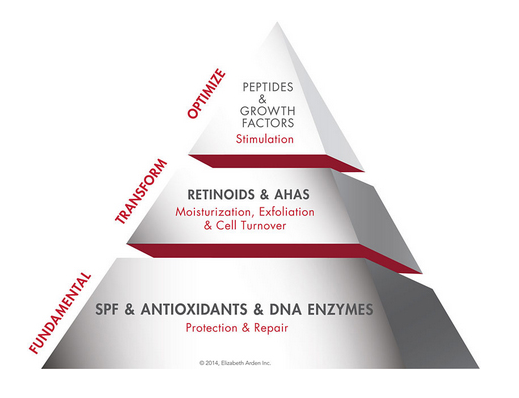 As a scientist myself, I love that the Elizabeth Arden PRO products have been developed by a scientist and have been clinically proven. The range is based on the Skin Health & Beauty Pyramid Philosophy; the pyramid base comprises of 'fundamental' technologies for daily skin protection. daily protection against sun and environmental exposures"
Next up from the base is the core of the pyramid; these are the 'need to have' technologies for skin transformation. Finally at the top are the 'nice to have' ingredients. 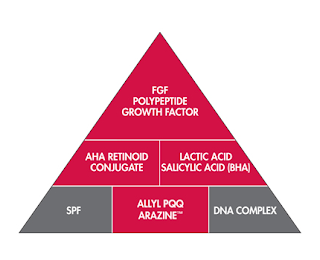 You'll see below that for each of the products I've been using, they have their own pyramid diagram which shows you in red the key ingredients and where these fit into the overall picture. This Try Me Kit comes with the following: 50 mL Gentle Facial Cleanser, 15 mL Age Defying Serum and a 15 mL Triple Action Protector SPF 50 and has an RRP of £70. Elizabeth Arden PRO is a salon only brand; they are stocked in Glasgow by Ellen Conlin Hair & Beauty. The cleanser removes make-up and gently exfoliates the skin leaving it soft and glowing. I've been using this twice daily as a second cleanse after a cleansing oil. The cleanser is to be used sparingly around the eyes. So with this in mind, I used the oil to remove eye make-up and surface dirt followed by a second deep cleanse with Elizabeth Arden PRO. The serum is designed to defy the signs of aging and reduce the appearance of fine lines and wrinkles with a combination of ingredients. 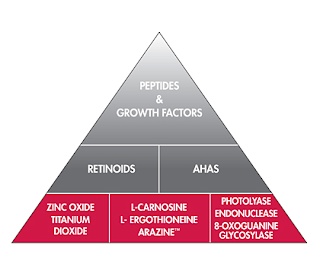 AHAs can cause sun sensitivity so I was recommended to use the serum only at night-time. Finally the Triple Action Protector, SPF 50, is what I've been using after cleansing each morning. 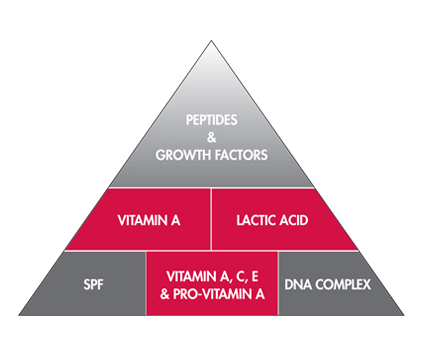 This is a tinted sunscreen suitable for all skin types. I like to think that I have good skin and I do think that using an SPF has a lot to do with this. I lived abroad for a year and a half when I was little and we wore sunscreen every day. I rarely am out in the sun without sunscreen as my foundation/base layer has an SPF, although it's not as high as 50. It's a really good habit to get into and I was actually reading an article in the hairdresser the other month about a lady who was insisting that her children at age 9 or 10 years old wear SPF daily on their faces. This is also something that my kids dad has requested. Despite living in cold, wet Glasgow we still have harmful UV rays. I'm now 33 years old, but I think I look younger. Someone that didn't know me recently thought I was in my late twenties... this made me happy! My skin is definitely smoother, softer and perhaps even a bit brighter - noticeably so across my cheeks! I've had a breakout of a couple of spots on my chin again which isn't great (stress or hormones!) but the rest of my skin is lovely. The cleanser smells clean and fresh. The directions say to lather and massage over the face. I found it didn't lather very much, but it's a nice consistency and I washed this off with a warm flannel before patting dry. Immediately after using it my skin feels softer. The serum smells a bit strange, and it's yellow in colour and runny in consistency. If you look closely it also sparkles. But don't let that put you off, once it's on you can't see it. I've also been going out without any foundation on! I've been using the tinted Triple Action Protector, then adding a little concealer onto my chin and under eye area and that's all. It doesn't give much coverage and depending on what I'm up to, I do sometimes still use my bareMinerals Complexion Rescue in addition to the SPF 50. I've filmed myself before I started using the product (I just need to find the footage... ooops!) and I'll do another little video to round it up. So keep an eye on my YouTube channel too. Thank you Ellen Conlin Hair for the complimentary Try Me Kit. As always, opinions are honest and are my own.